Think of fiction as falling into two broad categories and leave aside all of the subgenres that you’ll find a book under in bookstores or libraries. The first are those books that are written to intrigue the reader and deliver a fast paced, emotion generating response that requires you to continue reading until the very end. You could call these books “mainstream” or “popular fiction.” The publishing goal is to make money. The second broad category are books whose goal is to create a rich story that includes details and information that the reader will need time to digest, often putting it aside to think about the previous chapters or evaluate the information. This can be considered “literature” because the focus is on skill versus excitement. Publishers still put out literature in the hopes of earning recognition and perhaps awards (and also, of course, making money). Every now and then you get a book that is “popular literature”—meaning that it fits into each category. The Dracula Papers is not one of those combination books. Its place is firmly in the literature category; it dives deeply into minute details about life in court, political intrigue, family drama, and folktales that pepper existence 17th century Eastern Europe. The book is written under three authors—Reggie Oliver who claims to have had an encounter with something that gave him the information that led to his discovery of a work by Van Helsing, who collected together the works of one Bellorius, who wrote a sort of biography centered not on his life but on his adventure into the service of the Tepes family, whose son, Vlad, may be more familiar to you as Count Dracula. This novel is dense with details, and in 471 pages we never get a glimpse of the blood sucking Count. In fact, we never seen the subject, Vlad, do much more than study, go on his first military excursions, be taken hostage by the Turks, and confine himself to a monastery to survive family intrigues. Bellorius is then truly the subject of this book since we see the world through his eyes; a large part of this book details his journey to Transylvania and the strange people and challenges he and his two allies overcome. As a character, Bellorius has been so well crafted that he feels like a real scholar from the 17th century: absorbed with details we might consider boring, and mixing together religion, philosophy, folklore, and science. It is very odd that for all the work which Oliver has done to make this feel like the journal of a scholar that the historical facts are often lacking or utterly wrong. This is not historical fiction simply because the errors are too great. For example, Vlad is indeed a hostage to the Turks—but when he is a young child, not when he is a teenager. Vlad has siblings—but four of them, not the one in the book, and each of them do rule at one time. Similarly, the connection between the royal family and the Church is ignored in this first book besides a terse mention here and there of black monks and palace intrigue. Listing more details would only dampen any pleasure you might get from reading this book. 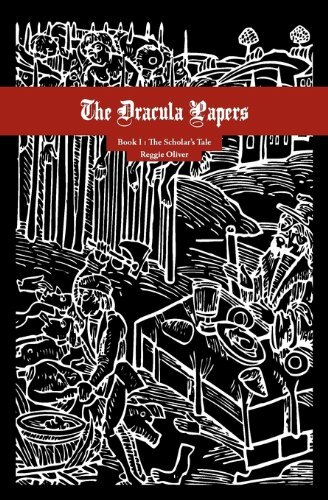 Read The Dracula Papers not for facts about the vampire by the same name but because you want to have a taste for what life might have been like in Eastern Europe during the last part of the 17th century. Read it because you find palace intrigue and folktales fascinating. Give yourself time between each chapter to reflect upon what has happened. That is how you can truly appreciate and enjoy The Dracula Papers. TammyJo Eckhart, Ph.D. is the author of Servants of Destiny and a freelance writer.